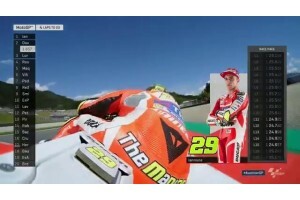 Andrea Iannone won the Austrian Grand Prix in Spielberg to claim his first Moto GP victory. the team its first win since 2010.
his lead in the overall standings. Britons Scott Redding and Bradley Smith finished in eighth and ninth.